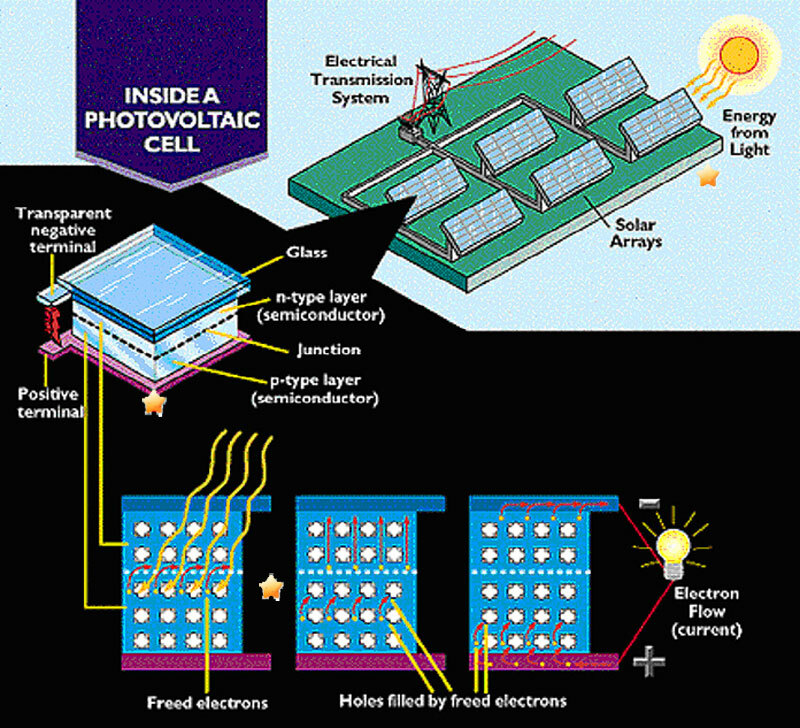 When more power is required than a single cell can deliver, cells are electrically connected to form solar panels. A single module can power an emergency telephone. A house or power plant requires an array. Mouse over the stars within the diagrams to read descriptive notes. Public domain image sourced from the United States Department of Energy website.